Developed by Adhesive Games & Reloaded Games, published by 505 Games. 1-6 players cooperatively, 2-12 players competitive. Rated T for Teen. Released July 1st, 2016 for Xbox One. 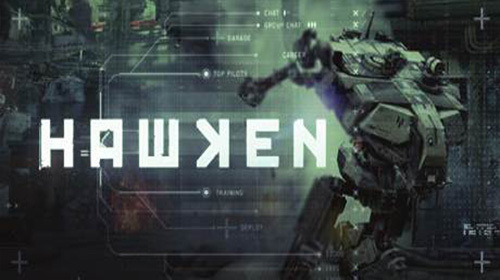 Hawken is an online-only, first-person mech shooter that is free-to-play, offering optional purchases to speed up resource acquisition or attain cosmetic items. There are currently about 30 mechs, although about 1/3 are variants. Mechs come in the requisite light, medium and heavy classes, with trade-offs in armor, maneuverability and utility. Each mech has a special ability as well as 2 upgrade-able sub-weapons or deployable items. The starter CR-T Recruit is an all-around Medium class, and the other mechs you purchase tend to fill specialty and niche roles rather than simply offering higher stats. The primary & secondary weapons have unlimited ammo but create heat, and all of the mechs have boosters and jump jets that use regenerating fuel. Managing weapon heat and boost usage makes Hawken very skill-based; a well-played starting mech can easily beat the "high end" units if they overheat or do not make smart use of boost maneuvers. The game makes use of 2 currencies, one that is purchased with real money via "mech credits" and one that is earned through normal gameplay. The items that require real money are cosmetic in nature, saving the game from being "pay-to-win". Customization of chassis and loadouts is normally a big part of mech games, but Hawken is fairly simple in this regard. All mechs have pre-selected loadouts, and the selection of different parts and paint schemes is small. Hawken has 6 modes total, 4 are competitive and 2 are cooperative. The competitive modes offer Free-for-all, Team Deathmatch, Missile Assault (a variation on KOTH), and Siege (a variation on Control). The cooperative modes are Team Deathmatch versus bots, and Bot Destruction which is mission/objective-based. All modes offer Pilot XP and in-game currency, so the co-op modes are useful for trying new mechs or grinding for resources. Overall, the game runs well. The only bug I have encountered has been in a couple bot matches, where a computer-controlled mech would appear to be standing still but wouldn't actually be there. Playing against people has been smooth and fun, and while there are a lot of n00bs on the field there are also some players that are already quite good. Teamwork and enemy-spotting are musts. 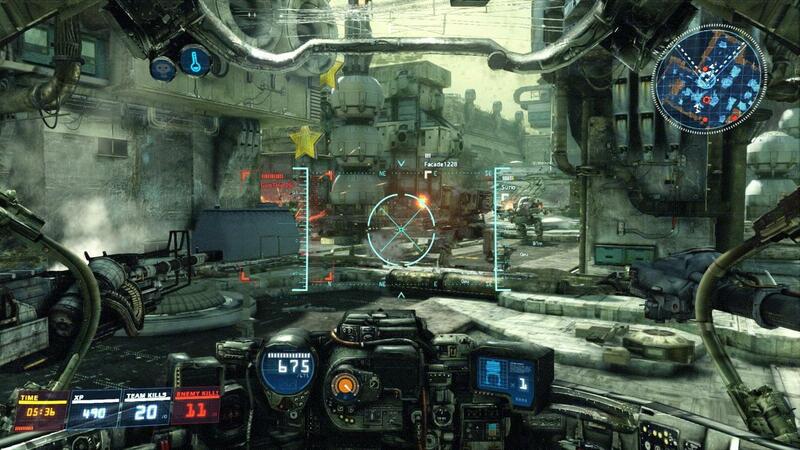 Hawken has a great visual look, with everything looking tech-y and grungy at the same time. The shifts in momentum and the slight delay between quick movements sell the mech action well. 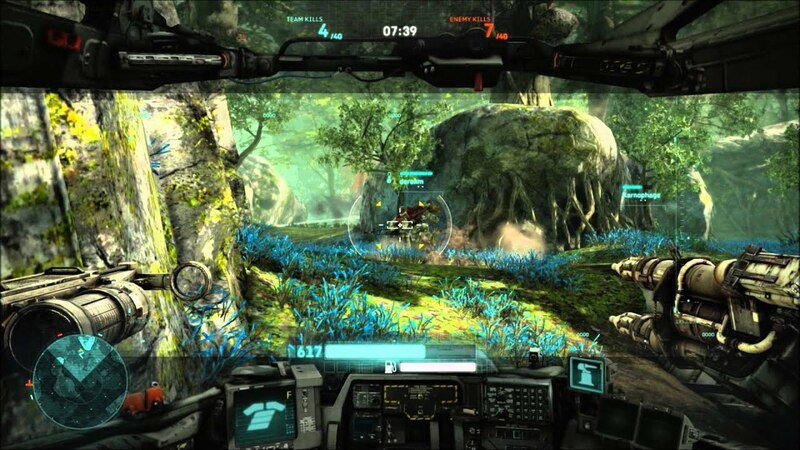 Overall FPS skills are important in the vast majority of mechs, but Hawken is much faster and more approachable than MechWarrior online, lacking the customization options but also simplifying the simulation aspects in a good way. Plus, it's free! Hop in and give it a try. Since it's F2P and all online, I don't want to assign it a score. I'll just say it's a well-made game and definitely recommended to fans of online shooting, especially if they enjoyed MechAssault in the past. There aren't many Achievements, but most of them will require a lot of time and a little luck. This reminds me of Titanfall. I thought this game was going to be something more along the lines of Mech Assault on the Xbox. Looks pretty rad. Thanks for the review.